Note: This article was initially published on the WUFT site on 4/10/17. 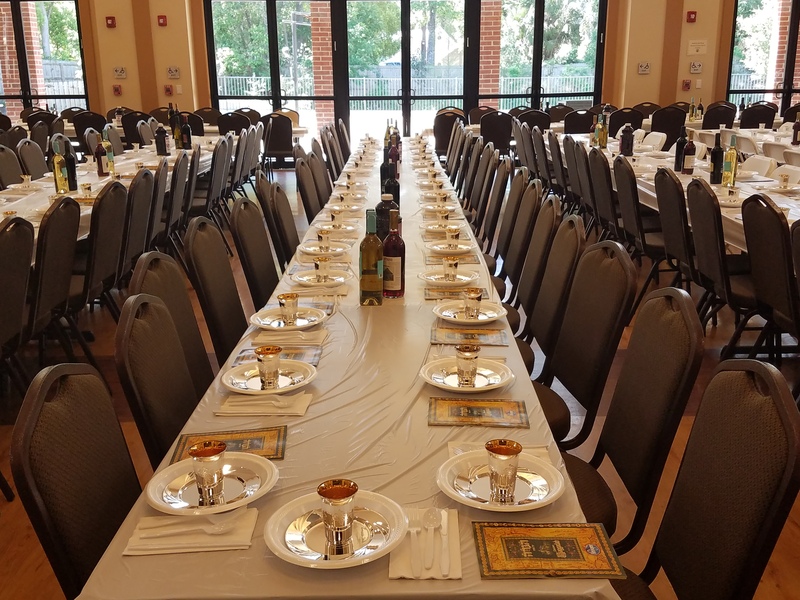 The Lubavitch Chabad Jewish Center at the University of Florida will host the largest Passover Seders in Florida this week. Both of the Seders are open to the public and free of charge with an online RSVP and are occurring Monday and Tuesday nights. The Passover Seder is a ceremony held on the first two nights of the eight day holiday. The traditional Jewish holiday celebrates through prayer, symbolic acts and traditions with the two halves of the night divided by a meal. Aron Notik, one of the center’s two rabbis, said although it is hard to tell exactly how many people will attend beforehand, it is safe to say these Seders are the largest in Florida. Berl Goldman, Notik’s co-rabbi, said no one has been able to prove that they aren’t the largest in the United States. He said the majority of the first night turnout will be comprised of University of Florida students, while the second Seder will bring in a more varied population from the community. Both Rabbis said they are set to receive roughly 700 guests the first night, followed by around 400 on the second. “That’s past 1,000 just for the Seders alone,” Goldman said. Notik said he attributes this turnout to the inconvenient timing of the holiday this year. Both Seders are on weeknights two weeks before UF’s final exams, making it difficult for students to return home to spend the holiday with their families. 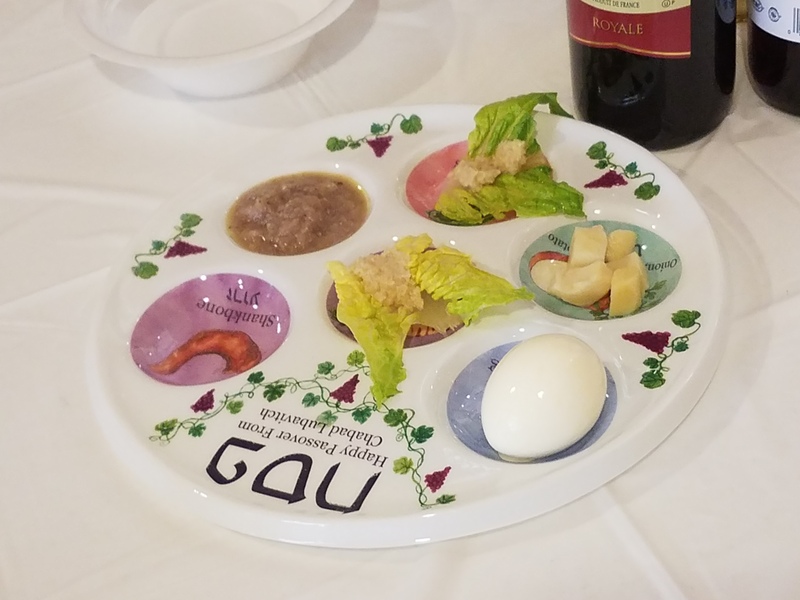 The Seder plate is a dish filled with symbolic items to help facilitate the Passover Seder. More than 1,000 guests will use plates identical to the one pictured over the course of Monday and Tuesday. That is why Alexis Burton said she will be spending her Seders with the Chabad. “It’s too close to finals to go home,” the UF senior said. Although she said she has been regularly attending services at the Jewish center since August 2016, this will be her first Seder with the synagogue. As the Chabad provides kosher-for-Passover lunches and dinners for the remaining six days of the holiday, the synagogue is preparing roughly 2,500 meals. “It takes an army to do what we’re doing,” Goldman said. 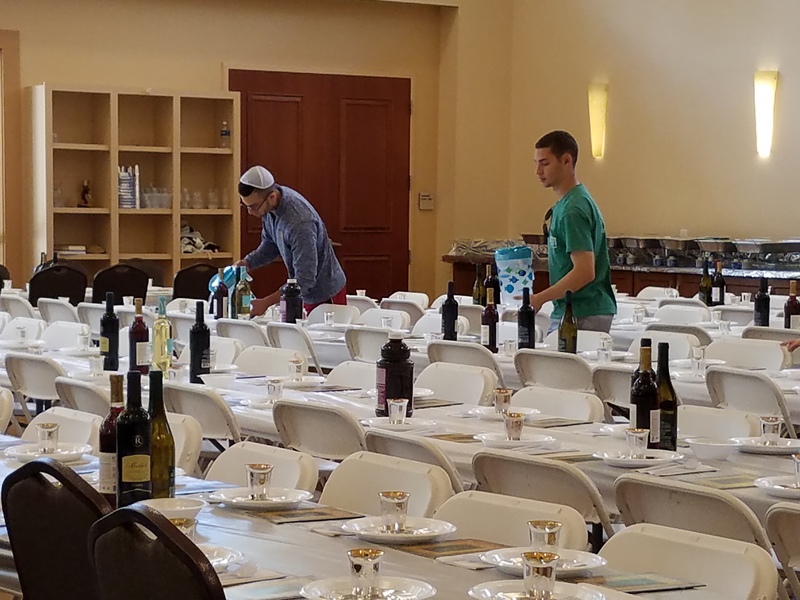 Volunteers help set tables for the Chabad’s Seders. More than 50 volunteers have offered their services throughout the past week. Volunteers from both the university and the Gainesville community have been a comfort and inspiration to Goldman and Notik. Mazal Fernandez, a regular Chabad attendee, is one of these helpers. “It’s very humbling to be part of something really big,” she said. Fernandez said she saw the unprecedented amount of reservations, and decided to help by unpacking food and decorating. In order to support the time and resources needed to host Seders of this scale, Goldman and Notik organized a phonathon and online donation pool, both of which will be active through the end of the holiday. As of Monday, they are roughly two-thirds of the way toward their goal of raising $76,000. “It relieves some of the financial pressure,” Goldman said. 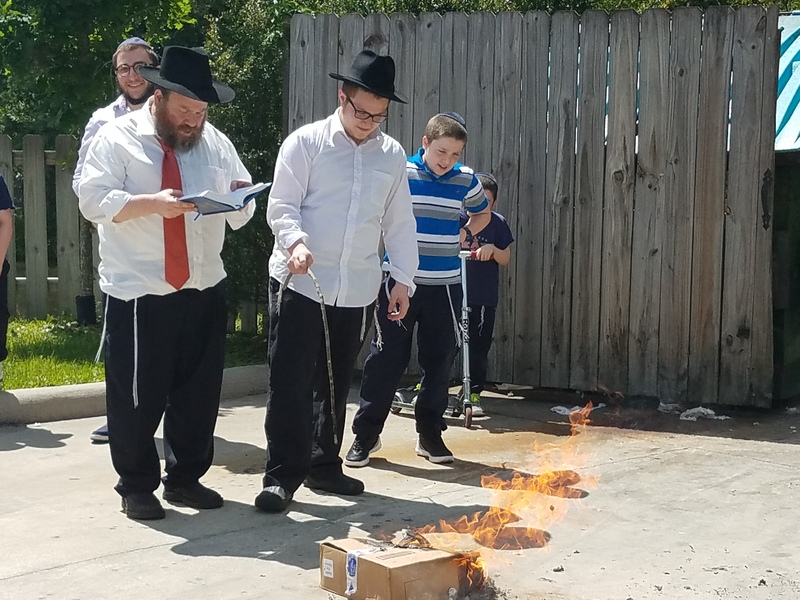 Rabbi Goldman facilitates the burning of chametz, or non-kosher-for-Passover food, outside of his synagogue. In order to hold a legitimate Passover Seder, none of this food can be on the premises. Both rabbis said they have seen the challenges that Seders of this scale pose. “It’s hard for a large crowd to follow a 15 step process,” Notik said. In order to partially combat such difficulties, they are hiring captains for each table. These volunteers will help their respective tables keep up with the main Seder, which will be conducted by the rabbis. “It will help us do the Seder more efficiently,” Goldman said. Both Notik and Goldman said, regardless of affiliation level or reservation, no one will be turned down at their Seders. “You’re Jewish, it’s Passover, come and experience the Seder,” Notik said.